From the beginning of childhood, most everyone begins to dream of what they want to be. We all develop hopes of doing something great. Baseball player, fireman, tv star, singer. Some even dream of being moms and dads. Little girls dream of being a beautiful bride, they fantasize of meeting their prince charming and being swept off their feet. In addition, little boys start off dreaming of being a cowboy, a sports star, or an army man and end up dreaming of mortgages, bills, life insurance, and college tuition for their children! We all have dreams, but as life goes on, we learn that we will never go forward, unless we start right where we are. Going forward is all about taking the right steps. Where you start from is not near as important as where you are going. You just need to make sure you have the right destination. Too many people let their starting point hinder their ability to going forward. Just remember, your starting point does not have to be your ending point. One of the greatest inventions of modern times is the GPS. 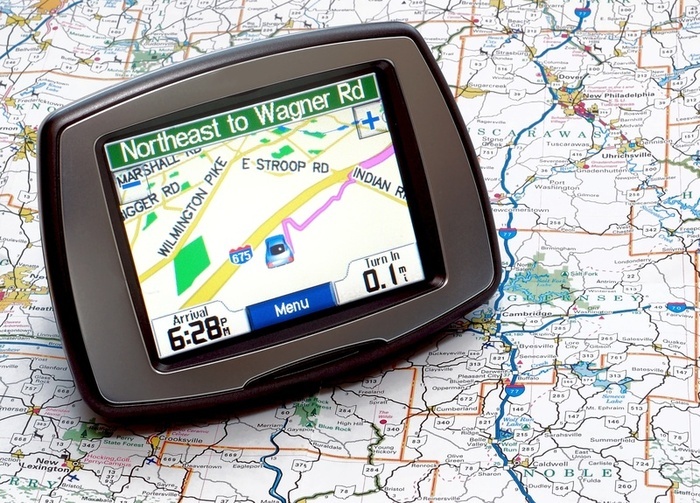 Being able to type in a destination and have your GPS guide you there is an incredible convenience. However, 20 people can all start from different places but end up at the same destination if they have the right directions. Some will take longer to get there, but they will get there if they will stay on track. Nevertheless, there is a problem with GPS units, they are not perfect. And they do get people lost sometimes. And they don’t always account for weather, storms, traffic, accidents, detours and construction. Life can be that way. Sometimes, even when we think we are headed in the right direction, the storms of life can take us off course. I have found that the greatest way to launch forward and stay on course is to listen to the One who made us and gave us life. Check out this scripture found in God’s Word. Ephesians 5:15-17-Therefore be careful how you live, not as unwise men but as wise, 16 making the most of your time, because the days are evil. 17 So then do not be foolish, but understand what the will of the Lord is. When we are pondering our future, our destiny, our purpose in life, we will take steps in the right direction by heeding these three simple keys. When we are careful how we live, we won’t create obstacles by bad decisions. When we use our time wisely, we will do the things that will take us towards our destiny. And, when we seek to understand God’s will, we can live our lives doing what we were created to do. So…go ahead. Launch forward! Nobody’s stopping you!